King Lugger Inc was set up in 1975 to produce hexagonal key wrenches. We are a pioneer in the field and the largest hexagonal key wrench manufacturer in the northern part of Taiwan. We provide our customers with superior products. The quality has been established through years of experience in this field, especially in terms of the thermo-process and research in metal characteristics, which ensures that our products comply with all kinds of specifications and requirements. Over the years, we have constantly put new investment into modern plants and technology. 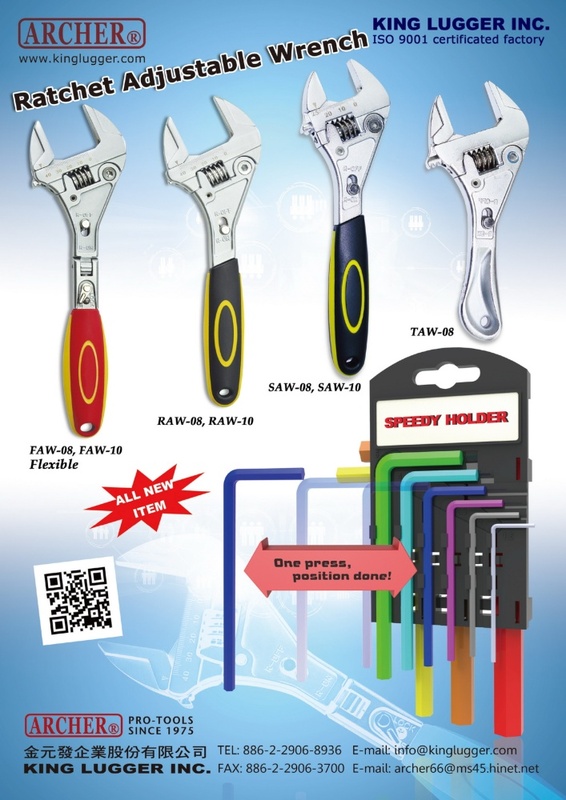 During 2004, we proceeded to produce patented Ratchet Adjustable Wrench as additional product for our customers. Please feel free to contact us with any questions you may have on the above-mentioned matters. We are dedicated to serving you promptly.